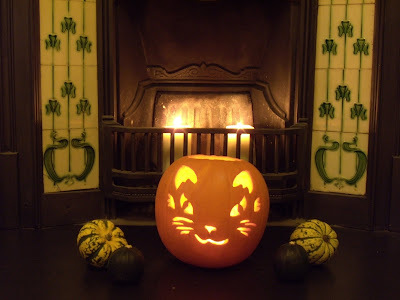 Kit Whitfield's Blog: Happy Halloween! And a happy halloween to you, too. 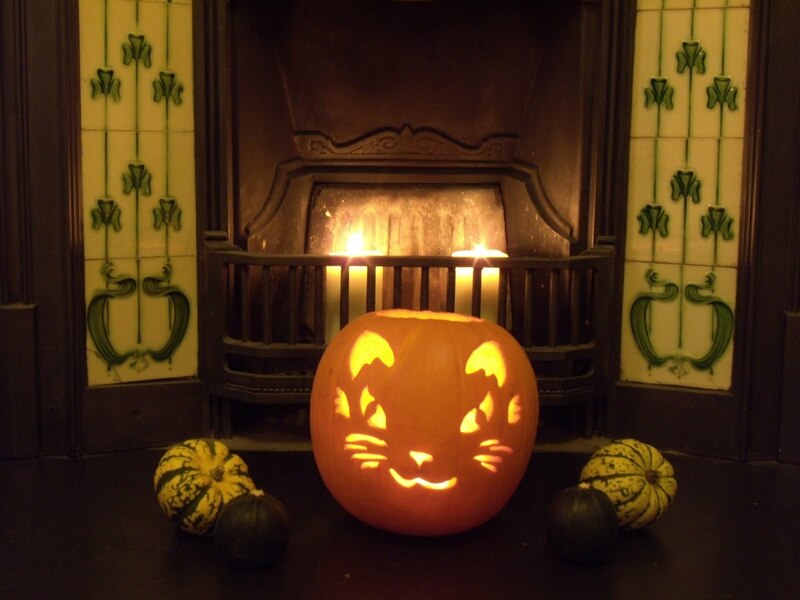 Halloween used to be the most stressful day of the year for our (late) cats. The fat one was clearly shocked and upset at the idea of giving food away. The neurotic one panicked each and every time the doorbell rang. The nice part of the day each year is seeing how the neighbourhood kids have grown. Last year was the first time the girls next door were allowed to go up to doors on their own. Before that mom and dad came with now, now mom and dad waited on the street. All the schools have Halloween parties but there is something really nice about kids feeling safe to walk around their neighbourhood at night. Pumpkins are carved, candy is sitting in the kettle waiting by the door, the children are out hanging spiderwebs and skellingtons in the trees. Of course, Hallowe'en falling on a Sunday here causes its regular seven-year palpitations on the part of the huge conservative Baptist majority. Apparently celebrating Satan* is fine with Jesus the other six days of the week, but just is a little too squicky for the Lord's Day. I'd like to hope that this will mean more candy for me, but I doubt it. Reliable sources tell me that kids are actually bussed into our neighborhood because we have a reputation for being generous with high-quality loot.